''5 cards in 5 days with WOW'' floral cards. In today's video tutorial I will show you the emboss resist technique with distress ink. This is very popular and well known technique by many papercrafters, but if you newbie and want to learn something new lets get started. I have started my card by stamping my background stamp on white card stock piece. I am using WOW ''Secret Garden'' background stamp and Clear Matt Dull embossing powder. After I set heated my stamped image its look very blank and not so visible, but after using distress ink, magic happens! Embossed parts will resist distress ink and will remain clear or white depend on the colour of embossing powder you previously have used. Now my background, to finished I am going to trim this piece slightly smaller than standard card and mount this piece using 3D foam pad. 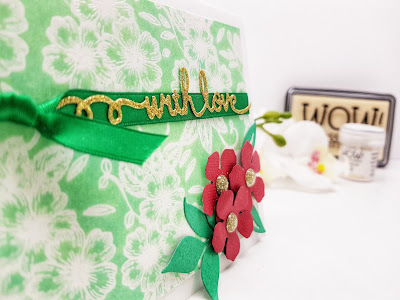 I have used 10mm double sating ribbon across my card and glued die cut sentiment directly on my ribbon. To finish my card I have die cut 3 flowers out of burgundy card stock and added to my card using foam pad. Adding die cut leaf and enamel dots in the centers of the flowers will finish my card for today. I hope you liked it and get inspired. 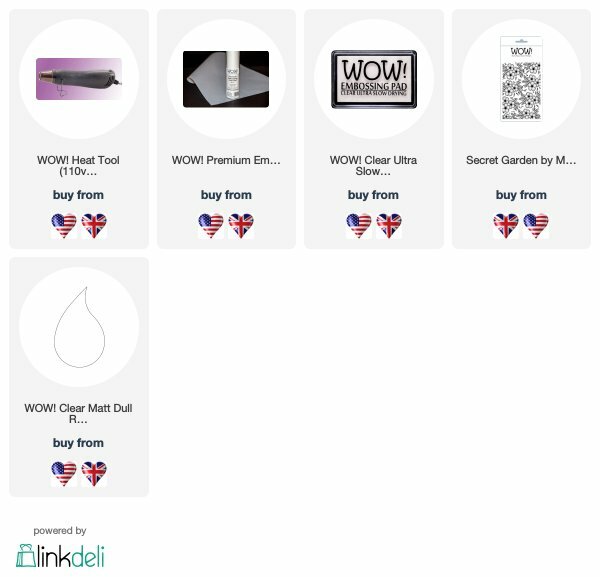 Please come back tomorrow for more ideas on how you use WOW embossing powders!